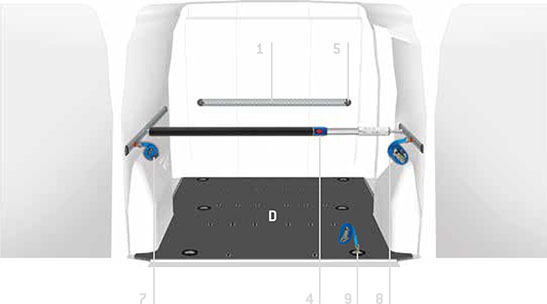 Store Van protective linings for vans in the Ford Connect range reinforce the commercial vehicle‘s bodywork against wear and chance damage caused by the transported goods. Our van floorings and panellings also provide a rugged base for anchoring the mobile office fitting. While the sides are protected by polypropylene honeycomb panels, the flooring is in marine plywood 9 mm thick with phenol film finish.